Created an infographic, signage and a promotional app for the Invasive Plants exhibit to be viewed by the general public at The Jacksonville Zoo. This project is a redesign of the current exhibit. The illustration style resembles a mix of vector and botanical illustrations. The graphics are friendly and simplified to make it easier for the viewer to scan with their eyes. The infographic would explain what invasive plants are, their environmental risks and how to prevent them. 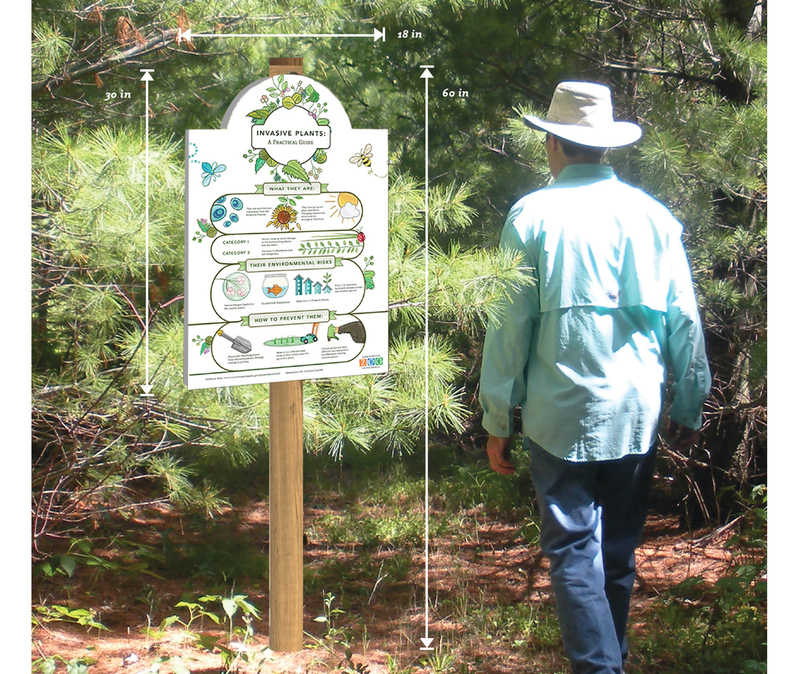 The second set of signage displays the invasive species and possible alternatives.